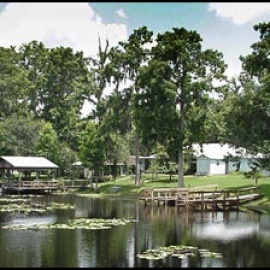 Floral City is a relaxing step back in time to Old Florida. Classic cars from the area's numerous clubs often cruise the winding tree-lined country roads on their way to car shows or to simply show off their pride and joy. You'll find antique shops around the one intersection and you can enjoy some good eats at Sleepy Hollow, an outpost deep in the woods outside of Floral City. Are you tired of going to the same stores week after week? Maybe youâre hunting for a gift and just donât know where to find it?